Quick question: what's better than a ticket to Hamilton? Answer: absolutely nothing, and how dare you for asking. But if you're starting to worry that you'll never make your dream of seeing the show come true, then I have the next best thing — Lin-Manuel Miranda is hosting Saturday Night Live , AKA you don't even need to auction a body part on the black market in order to soak up all his gloriousness. It was announced Wednesday that the literal genius and all-around wonderful human will host the show's second episode, on Oct. 8, with musical guest twenty one pilots, and I couldn't be more excited for him. The long-running sketch show's Season 42 was already shaping up to be a good one, with Margot Robbie snagging hosting gig for the premiere episode, and there really isn't a better choice than Miranda to follow that up. His name has been on everybody's lips since the award-winning, record-breaking, mind-blowing success of Hamilton on Broadway, of course. 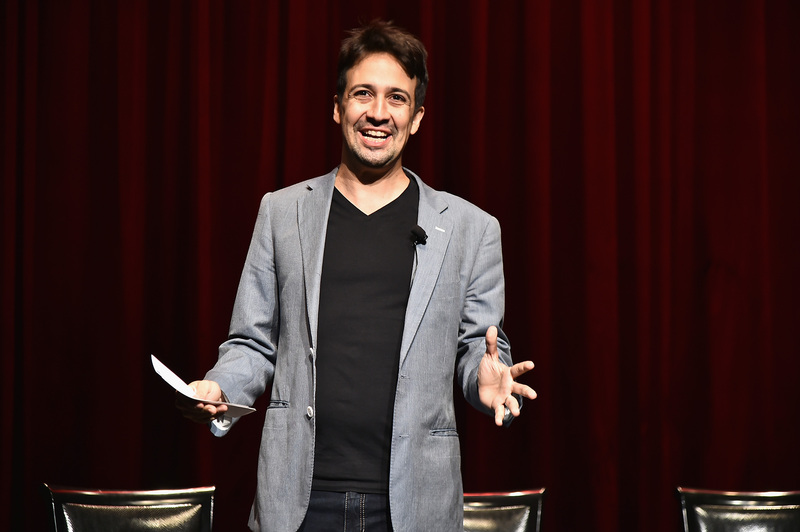 That would be more than enough to get him in the door, but Miranda is also working on a film adaptation of In The Heights , which was the first Broadway musical he wrote and starred in, as well as a live-action Mary Poppins. Plus, he's the man behind the music for Disney's highly-anticipated Moana , out in November. But even with that incredibly impressive resume propelling him onto the show, Miranda always manages to hang onto his humility. Here's what he tweeted to announce his SNL debut. Ugh, I love him so much, and that attitude is exactly what's going to make him a success on Saturday Night Live. I feel like you can always tell when a host is nervous, or thinks they're above the sketches they're doing. I can't imagine that happening for a second with Lin-Manuel Miranda. He always seems so grateful to be where he is, doing what he's doing, whether it's performing onstage, giving a speech, or even just amusing himself on Twitter. I can't wait to see the absurd characters he throws himself into on Oct. 8. Plus, there's the fact that Miranda is a writer himself, so I would imagine he'll work closely with the SNL writing staff to take his episode in a direction that has his signature all over it. Maybe some original music? Or Lin-Manuel Miranda himself singing? Maybe some celebrity guest stars from the original Broadway cast?